Digital Main Street is now available in Mississauga! The Digital Main Street program is available to support local main street small businesses in Mississauga! 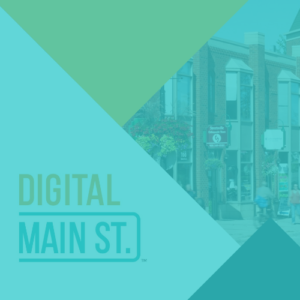 In partnership with the Ontario Business Improvement Area Association (OBIAA), and the support of the Ontario Government, the City of Mississauga is proud to be a part of providing the Digital Main Street program. Home to four BIAs and a diverse small business community, we are pleased that the Ontario Government and OBIAA has awarded the City of Mississauga with the Digital Service Squad grant. This grant has enabled us to hire our very own Digital Service Squad to provide one-on-one support to help small businesses adopt digital tools and technologies towards the development and growth of local main street small businesses in Mississauga. What is Digital Main Street? What is the role of the Mississauga Digital Service Squad? The Mississauga Digital Service Squad is well-equipped to take our local businesses to the next level. Whether it is setting up an online store, participating in social media or establishing an online presence for your business, our squad will help you adopt to tools and technology needed to promote, and manage your business more effectively – no matter how unique the need. Are you a Mississauga main street small business owner interested in learning how to build your online brand? Create a Digital Main Street account. It’s free to sign up. Once you sign up, you will also have access to up-to-date technology news, digital resources, workshops and events. Complete your Digital Main Street assessment and get actionable recommendations on how to adopt digital tools and technologies. Or book a time to meet with a DMS Digital Service Squad member for a one-on-one consultation to learn more about the DMS program and receive assistance completing your Digital Main Street assessment. If you have a question about the Mississauga Digital Main Street program or would like to inquire about a FREE consultation, please contact our Digital Service Squad today. Whether you are starting or growing your business, we can help! MBEC is your central source for small business information, resources and guidance. We’ll answer your questions about registering and starting a new business, preparing a business plan, taxes, available government programs and much more! 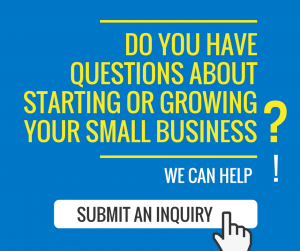 If you have a question, or would like to contact us, please submit an inquiry or visit the MBEC office at the Mississauga Central Library (4th Floor).